Runes are often considered an oracle, allowing seekers to find answers via their “energy.” They were first used in Northern Europe, primarily in places such as The British Isles, Iceland and Scandinavia (Norway, Denmark, Sweden and Finland.) They have been used since Ancient times as a Divination of Magick. And are based on the Germanic Alphabet. The “Elder Futhark,” contains 24 Runes, however, today, we have an additional Rune (Odin.) Although this Rune is sometimes viewed as controversial, its message, when drawn, is a good one, as it represents Fate- beginning and end- and rebirth. 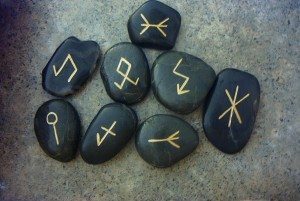 There is a vast array of ways to “cast” Runes. 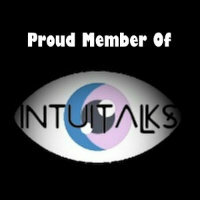 It is best to cast based on your Intuition; what feels best for you. When I do readings with Runes, I generally opt to do a 3, 7 or 9 draw depending on the question and the person. I also lay my Runes on a white cloth to ensure the integrity of the cast. If one slips off the cloth, again- depending upon my feelings about the seeker and how best to read them- I will either disregard that Rune or find it very significant. As always, be sure you are reaching from Spirit, making certain that you read Runes based on your intuition and not so much the books.